In construction, clouds can be good and bad. Weather clouds could mean some shade out of the hot sun, or they could mean that bad weather is rolling in potentially causing project delays and overtime. 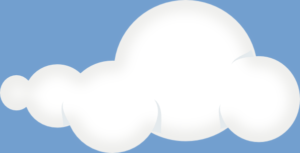 What I’d like to focus on is the other type of cloud: the technology and software cloud. Many contractors are already utilizing the cloud, but not to the fullest extent. Reasons vary and it’s up to each individual business on how much cloud to use. Construction businesses use the internet and cloud apps just like non-construction businesses for weather, email, file sharing, and maybe even CRM. Construction software developers have been leveraging the cloud to help contractors solve specific issues such as time collection, paperless document approval systems, report sharing, and more. You can even have your software installed on a cloud server and access it from anywhere. The point is that the cloud is here and it’s only going to become more prevalent. No umbrella required. To learn more about construction software and the cloud, please contact Alliance Solutions Group.